(Tommy)>> Hey guys, welcome to Detroit Muscle. We're actually in Detroit at the North American International Auto Show. (Marc)>> Yeah we normally don't come out to things like this but there's some stuff here we just have to see. The North American International Auto Show, sometimes call the Detroit Auto Show, is held in Detroit, Michigan, every January. (Marc)>> Just a few years ago Lincoln radically redesigned the Continental, and even though that is a beautiful car it really doesn't harken back to the old days of the suicide door Lincolns. A lot of us hot rodders like those. Well this one right here fits the bill. This is the 80th anniversary coach door edition, and they're only making 80 of them. Make no bones about it, this baby is not cheap. It rings in at over $110,000 dollars but that's the only place it disappoints. At eight inches longer than the production Continental and with real deal suicide doors out back this is a true luxury Lincoln Continental done right. The inside is trimmed with full custom upholstery and a console for the rear seat. I mean rear suite. (Tommy)>> There's always cool stuff here like this Ram 2019 Heavy Duty. It makes 1,000 pound feet of torque. That's a pretty serious piece of equipment, and I bet ole LT and them in Truck Tech would love to get their hands on this jewel. The new Ram Heavy Duty is the most powerful towing and hauling pickup truck ever. That 1,000 pound feet of torque is a huge milestone only achieved by Ram and its six point seven liter Cummins diesel. It's got a towing capacity of over 35,000 pounds thanks to that power increase and an improved chassis, and better braking system. Not only that, it's a dang good looking truck. Another cool truck that's getting a lot of attention is the Jeep Gladiator Rubicon. No matter what your taste this show has something for everyone, even some really odd ball stuff. (Marc)>> Another cool thing you see here at the auto show are concept cars. This is the I-concept from Toyota. Now this thing is very futuristic. It's all electric, it's autonomous, and it'll let you drive but it'll also get to know who you are by listening to your conversations and stuff like that. In case you get tired it'll take over for you. In case you need a massage, it'll give you one of those as well. I don't know about all of that but a massage sounds pretty good. The concept-I is a long way from production but it's still cool to look at what auto manufacturers are working on for the future. They've also got the I-ride for those with disabilities and the I-walk, which is kinda like a hover board that adults won't fall off of. Well we're here in the Chevy booth at the Chevy tech studio, and Chevy's stem program developed these autonomous cars but you can actually control them yourself to see if you could beat that. But actually Tommy and I are gonna race each other. Ready? (Tommy)>> Yes sir. I'll let you give me the go. (Tommy)>> The trick Marc is to be kinda graceful, not slam into the walls. Yeah he took me to school. That ain't no fun. (Marc)>> Well not only did I beat Tommy and the autonomous car but I made the leader board here. I'm in second place right below Chevy. I'll call that a win. (Narrator)>> Coming up we see what's going on in the muscle car world. 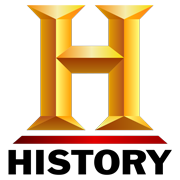 (Tommy)>> This is a premiere show that auto manufacturers use to debut their new rides, and I'm not just talking about mini vans and pickup trucks. 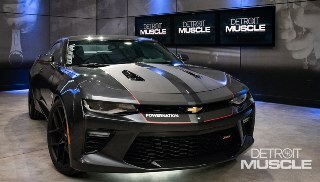 (Marc)>> That's right, we're talking about performance vehicles as well, and that comes from all of the world but when one of the big three has a huge announcement to make when it comes to one of their new hot rods they do it right here in Detroit. In fact Ford has an announcement later that's 54 years in the making. (Tommy)>> Let's go check out some of these cool rides. The big three are well represented, and they've got all their performance cars out for us to see. (Marc)>> But there was one import we couldn't ignore. Now I know when you think muscle cars you think American made right? Well me too, but when you're in Japan this is the muscle car. It's a 2020 Toyota Supra. Now the Supra's been out of the market for quite a while and they're back, and they came back in a big way. Inline six, three point zero liters with a supercharger. 335 horsepower, zero to 60 in four point one seconds. This thing is a serious contender. 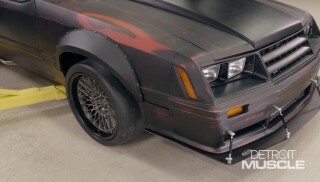 What started as a modified Celica in 1978 became an automotive and pop culture icon. Then disappeared in '98. The new Supra delivers the goods with a perfect 50/50 front to rear weight distribution and a true to form straight six under the hood. They're even gonna run them in Nascar's Xfinity series. (Tommy)>> Pop quiz for you. What's the name of the show? Detroit Muscle. We've got to check this thing out, the ZROne Corvette. With carbon fiber everything, 755 horsepower, and a price tag starting at $123,000 the ZROne is more than a muscle car. It's a supercar. The six point two liter supercharged LTFive propels this Vette from zero to 60 in two point eight-five seconds, and ultimately to a top speed of 212 miles per hour. The fastest production Corvette ever. It stops just as well as it goes with massive carbon ceramic brakes and looks the part with aerodynamic touches everywhere, especially out back with that hug functional wing. (Marc)>> Another brand that you may not associate with performance is Cadillac, but they've got something that caught our eye, this ATSV. With 464 horsepower you can drive this coupe from zero to 60 in three point eight seconds, and to a top speed of 189 miles per hour, all while enjoying the luxury cockpit that Cadillac is known for. Whether it's past, present, or future Cadillac delivers in luxury performance. (Narrator)>> Don't go away. Tommy and Marc are in the Ford booth getting ready for that new GT 500. (Marc)>> Well we're here in the Ford booth and here in just a couple of minutes they're going to unveil and drive right out onto that stage the brand new 2020 Shelby GT 500 and I can't wait. Can you? (Tommy)>> Man I'm actually pretty excited about this. Quite a crowd had gathered for Ford's big press conference. The first big news was all about the Explorer. Ford is adding two new trim levels. The first is a hybrid that will get over 500 miles per tank of gas, and the other is all about performance, the Explorer ST. It's got a three liter Eco-boost that makes 400 horsepower and 415 pound feet of torque. That's what I'm talking about. (Marc)>> But the real reason we were all there was the Shelby GT 500. Bolstering an already successful relationship between Carroll Shelby and Ford Motor Company, the GT 500 was launched in 1967. 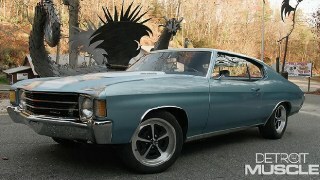 (Carroll)>> To build my kind of car I had to take an existing car and modify it. I could have chosen any set of wheels I wanted. I picked Mustang. (Tommy)>> They dropped it in from the ceiling. (Tommy)>> Man does that car look mean. ♪ ♪ ( )>> Well what do you think? 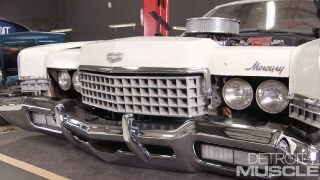 Meet the most powerful street legal Ford we've ever built. It's the all new Shelby GT 500. (Ed)>> This car was not going to be compromised. It wasn't going to be a one trick pony. 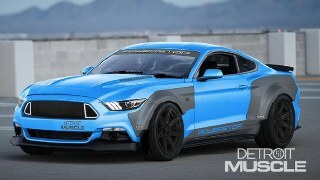 It was going to be the baddest production Mustang we've ever done on all of our metrics. Whether it's straight line performance, track capability, power, torque, aero, all of it sets a new threshold for us. (Marc)>> Well look who we ran into. It's Danny from Counting Cars. 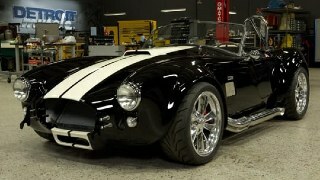 What do you think of this new Shelby man? 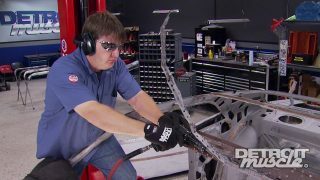 (Danny)>> I've got to tell you Marc the car is absolutely gorgeous. Brand new Shelby GT 500. You've got to give Ford and Shelby, that connection, the greatest credit man. They've been doing it together for years. This one now, the most powerful one they've ever done. 700 horse out of the box, 700 horse out of the box. I mean that's pure insanity. Car estimated numbers gets to 60 in like mid-threes. Quarter mile sub-11. It's a 10 second car. I mean it's wicked, it's wicked, it's beautiful. (Narrator)>> Stay with us. We give you the goodies on what makes the new Shelby GT 500 a formidable foe. 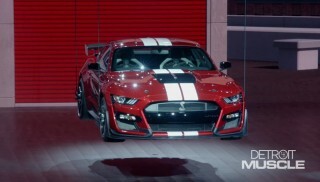 (Ed)>> We started with the five point two liter engine from the GT 350 and needed to go forced induction. We chose the Eaton supercharger capable of 12 p-s-i. With that cylinder pressures increased dramatically, so the engine structure was upgraded to manage the power and the torque. It's 700 plus horsepower is what this vehicle starts with. That's the heartbeat of the vehicle. (Marc)>> But making over 700 horsepower wasn't enough for Ed and his team of engineers. The supporting components had to be taken to the next level as well. The answer to that need was a dual clutch transmission. It looks like a manual but you see those two clutches there? Those are operated automatically, and they do it a lot faster than you can with a stick. Think supercar fast. (Ed)>> The nuts and bolts of the dual clutch transmission. It's a three shaft transmission very similar to a manual. Two of the shafts run your odd and even gears respectively, and the third shaft how you shift in between in terms of engagement. Dual clutches allow for gear pre-select, which is one of the ways that we maximize, or minimize in this case, shift speed through coming on and off clutches very rapidly. For example seventh gear, the other clutch is ready to go on sixth gear already. So as you make that decision through paddle shifter or through auto shifting, it's a rapid gear change cause the clutch has already grabbed the next gear. Fundamentally that's how it works. (Tommy)>> the team of engineers had the innovative drivetrain all sorted out but they also had to make it the best looking Mustang ever. (Ed)>> From a design perspective the vehicle beautifully design, but it was a matter of form following function. So everything that we've done on that vehicle from a styling perspective starts with a performance at the heart of it. And I'll give you a couple examples. The front end openings, very aggressive with a stainless steel mesh. The purpose of that grill though starts with 50 percent increased air flow to cool the vehicle on the track. You look at the massive hood vent. That's there to get all that air out without having any issues with lift. 20 inch wheels are there to house the biggest front rotor that we've ever done on a Mustang product a 420 millimeters. Carbon fiber wing is brought over from the GT Four race car. Two position adjustable, first time we've done that, but the wing itself right off that race car. So everything on that vehicle starts with and ends with improved performance. One of the proof points of this vehicle is its track capability. 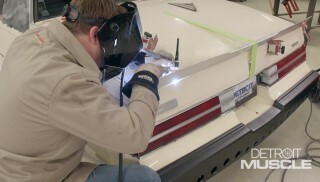 We have criteria that we design our vehicles to. We use 24 hour track durability testing and sustained track performance is two of those proof points. Sustained track performance is what drives us to the increased air flow and the coolers. (Tommy)>> It sounds like this thing's got the goods in every department but how is this Shelby gonna stack up to the current apex muscle cars? (Ed)>> Certainly we're aware of our competitors. We didn't build this vehicle to have less power than a Hellcat. We didn't build this car to be slower around the track than a Camaro. We expect this vehicle, once we get it out and unveil it from a performance and testing perspective to blow the competition away. 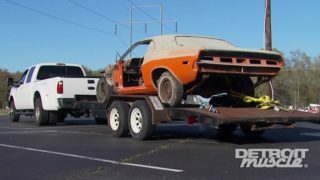 (Marc)>> It looks like the modern day muscle car war is alive and well, and we can't wait to get our hands on one of these. (Tommy)>> Hey guys, now often times whenever you're restoring an old car a piece that gets overlooked is the steering column. 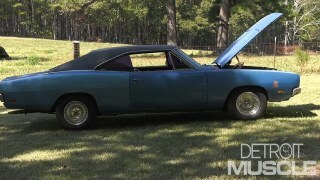 This one here is out of our '69 Dodge Charger and it's got some pretty big issues. Whenever we were driving it down the road it was making a hissing noise here on the inside and some smoke came out of it. Often times that's a sign of some bad wiring. So we're gonna restore this thing today. First thing we've got to do is get it torn down. Disassembly goes pretty quick. We'll take off the steering wheel, hub, adapter, and cover. ♪ ♪ The correct way to remove this harness out of the column would be to de-pin this little connector here. Now we're not really trying to save any of that old wiring. So we're just gonna chop it off. Whenever you chop this piece off don't throw it away. You can use it for a reference to re-pin the wires, and you may have to reuse this little plastic connector. Now just slide out the turn signal assembly... ♪ ♪ ...pop out the snap ring, and then tap out the shaft. Now all we have to do is remove this upper and lower bearing. ♪ ♪ We've got our steering column all cleaned up and a fresh coat of paint sprayed on it, and now it's time for assembly. Whenever you're doing a restoration on an item like this finding the proper parts to do it sometimes can be rather difficult. We went to Stephens Performance and they had exactly what we were looking for, like this new upper and lower bearing, turn signal assembly, and the proper connector to install this. Now the first thing that we need to do to get this thing put together is install this lower bearing. This lower bearing slides right in and it's held in place with two new bolts. On the top I like to install the bearing onto the shaft first and don't forget the snap ring. It's very important. Now just push the bearing with the rubber bushing into the housing, making sure it's fully seated. Next slide the wires through the column, line up the new assembly, and install the three screws. With this fresh paint we've got to have some new bling. Man that's nice. And now it's time for us to pin our connector. I mentioned to you guys earlier about saving this piece. All you need to do is match it up so that it's sitting in the same position, match the wires per hole, plug them into place. Final thing, with a fresh coat of paint the mounting brackets get reattached. ♪ ♪ There you go. It's good as new and looks just as good as well, and all we need now is a car to put it in.